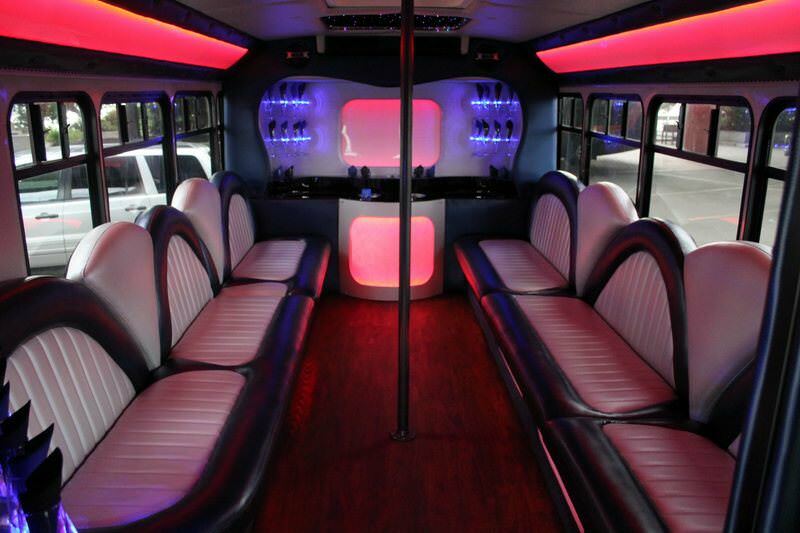 We offer party bus service in the greater Portland area. The best luxury transportation in Oregon! Portland, Oregon is a great place to visit. As Oregon's largest city and the seat of Multnomah County, it is a major hub for culture and excitement! Portland is home to a wide array of performing arts centers. If you're a fan of music, film, or live theater, then this is a city for you! In addition to all the attractions, there's also amazing people at every turn of the corner. We do our best to keep those people happy by providing great service at an even better price. We provide luxury transportation services that meet our clients' needs and we do our best to keep them happy as they travel across town in our luxury limousines. Customer service is our number one priority and that's what we pride ourselves on. We work 24 hours per day to make sure we don't miss anything - we're here to answer your calls and emails at all times. Don't hesitate to get a hold of us to ask questions, request a price quote, book a reservation, or make payments on your existing reservation because our agents are available and happy to help! There's no comparison when it comes to our fleet! Our vehicles come in a variety of shapes and sizes to ensure our ability to accommodate groups of any size. Whether you're tying the knot and have a large wedding party or if you're planning a night bar hopping with your closest friends, or planning a birthday event with family, we have a vehicle that can comfortably accommodate you all! In addition to offering convenient sizes, our vehicles offer luxurious amenities. From the outside, our buses are unassuming, many with simple black or white exteriors, but inside each one is comparable to a club or VIP lounge! You'll find that there are comfortable leather seats, hardwood floors, dance poles, vibrantly colored lights, bar stations with coolers, booming stereos, music players, TVs, DVD players, and more! Our vehicles are so exciting that, in fact, we've had many groups put a halt to their bar hopping so they could stay on the vehicles longer partying. The variety of features offered is what make our fleet perfect for any event. You can enjoy any combination of music, movies, drinking, dancing, relaxing, and enjoying the colorful lights. Whatever your celebration will entail, you'll have everything you need on board! In addition to our fine Portland limos and limo buses, we also offer sedan service. This fits our growing demand for the simpler transportation needs of our clients. Our sedans, however, are more for corporate clientèle and are the perfect vehicles for airport pick up, drop off, and more! Just ask us about them and we'll be more than happy to assist you. Any celebration across Clackamas County, Columbia County, Washington County and more, can be kicked up a notch with one our stretch limousines or buses. No matter what time your party is scheduled, you can count on us! We provide the finest services for birthday parties, weddings, bachelor parties, bachelorette parties, corporate events, school dances, sporting events, and concerts, as well as several other types of celebrations. Anything you have planned, you can call us to add some luxury transportation into the mix. Your event will be unforgettable and you'll be glad you did! There's no shortage of things to do around town and even in surrounding cities. Exciting museums, outstanding restaurants, exciting night life - all sorts of attractions and destinations to keep you entertained. There's plenty of unique places around the city as well, like the Freakybuttrue Peculiararium, the Witch's Castle, or the Voodoo Doughnut. Then of course there's the famous venues like Arlene Schnitzer Concert Hall, the Hollywood, Laurelhurst, and Avalon Theatres, and the Moreland and Bagdad Theaters. No matter what you've got planned, a night on the town, a day visiting unique attractions, or simply going to dinner and a movie, you won't have a dull moment! When you're ready to book a limousine or party bus for your next night out on the town or special event in Portland, just give us a call! Our agents are standing by and can't wait to hear from you! Let us know the date and time you'd like service, where pick up and drop off will be, how long you'll need service, and for how many passengers and we'll get you all set up! With just those simple pieces of information we'll find an appropriately sized vehicle for the time you need and let you know exactly what it will cost. In just a few moments we'll find you a perfect vehicle at a great price!